After 18 years as VP for Whole Foods in New York and London, Otto Leuschel decided to open his own market in New York’s Hudson Valley. According to locals, his 2,500 square-foot grocery has, “turned the lights back on on Main Street, Germantown”. His vision was to scale the Whole Foods model to a local level, using an abandoned 1920’s shop front as the site to live his dream. L Studio developed an identity and graphics for the market that captured the domestic nostalgia of the 1950’s in a system that can be implemented with 21st Century flexibility. 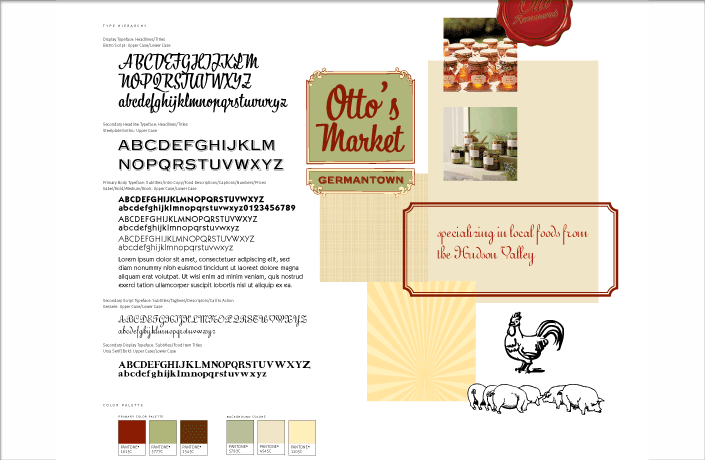 Templates for a complete signage system were designed to be implemented in-house to tell stories of local products and seasonal produce. Letterhead and business communications are also printed on demand using digital templates designed by L Studio. Other applications of the market’s identity include aprons, shopping bags, caps and mementos. 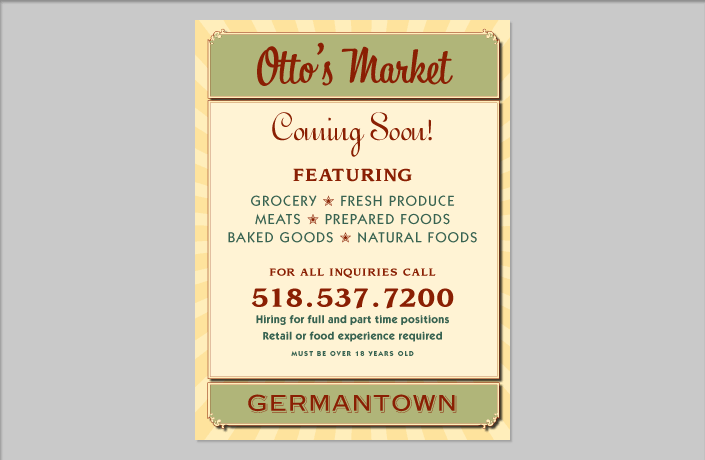 Elements of L Studio-created graphics were used to style the website for Otto’s Market. 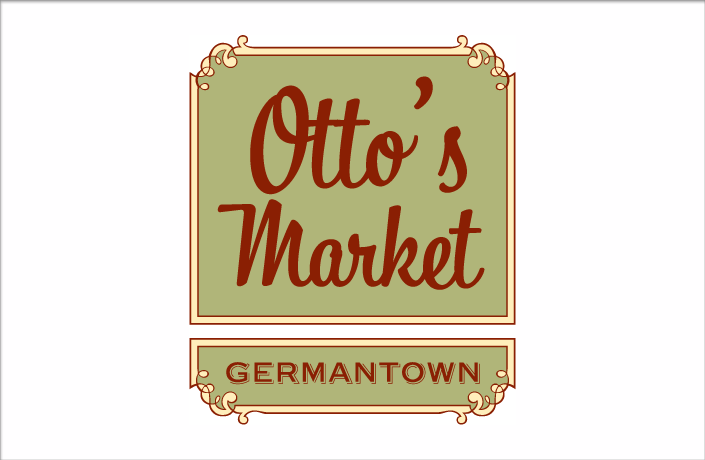 The logo for the market conveys 1950’s nostalgia and small-town charm tempered by a cosmopolitan perspective. 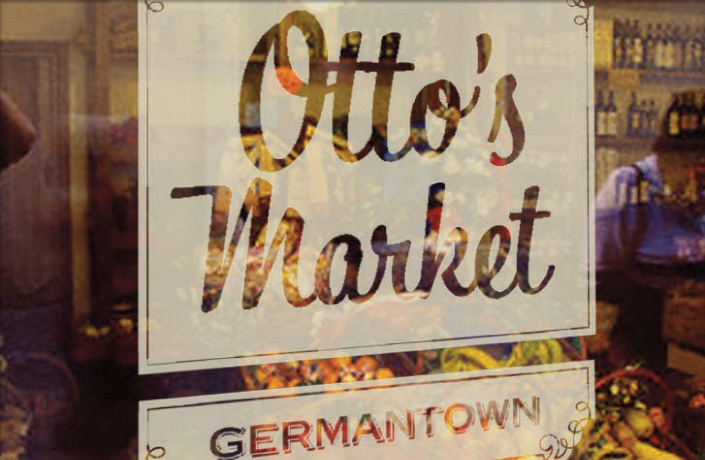 Typography, colors and other graphic elements of the Otto’s Market brand add versatility and playfulness.